Our Real Estate Customer Relationship Management System is designed to streamline daily actions and drive revenue-generating activity for real estate brokerages. It enables brokerages to significantly improve the efficiency and responsiveness of agents whether working in the office or off-site. Our system has custom built features and options to real-world real estate professional specifications and is as unique as each agent, their customers, and transactions. It provides the fully-customizable tools required to build and maintain trust online, essential elements of a winning sales strategy. It helps you close more leads and work more efficiently, increase productivity, and manage expenses. Buyers and sellers can be attended to more quickly, office overhead is reduced, and real-time monitoring facilitates efficient conversions to sales. It integrates with broker-specific third-party solutions rather than being a closed system that doesn’t play well with others. It is a competitive digital complement to broker goals of recruiting and retaining the best real estate professionals. We offer unlimited (and FREE OF CHARGE) first-class customer support services, training, consultation, and advice for one-on-one and group coaching for our nationwide client base. We provide extensive product training upon product launch as well as ongoing training via our monthly product workshops. Also, user coaching is an ongoing program that allows agents to learn best practices for use of their virtual office. Upon request, targeted training sessions are available to further guarantee the value you receive from implementing our CRM system. We also offer an online library of training videos. This provides 24×7 access to all the latest training materials so agents can learn when it’s most convenient for them. Mature, nimble technology coupled with unrivaled customer service from real estate professionals who are on your side. Brokers can customize their company site and approve agent templates. Agents have the freedom to select from and customize approved templates that include compliant Internet Data Exchange (IDX) real estate search. We provide unlimited optional individual listing sites to complement media campaigns, address seller expectations, direct traffic to specific agents, and more. Broker and agent sites are 100% Search Engine Optimization (SEO) friendly and ready to support campaigns. There is no need for additional investment in standard SEO services to make your site visible to internet search engines. Simply add meta tags to the SEO configuration portal provided in our back office solution and you’re off! Nurture prospects with customizable email campaigns and automated responses to key conversion events such as registration. Letters can be customized or selected from our database of templates so creating an effective campaign has never been easier. Campaigns can be launched automatically, eliminating the need for manual broker/agent intervention. The REWS CRM system supports all popular browsers and screen sizes and automatically senses smartphone and tablet use to add global positioning system (GPS) search options. With support for any GPS-enabled platform (iPhone, iPad, Android, Blackberry, Windows Phone, etc. ), users are able to conduct location-based searches, add properties to their saved favorites, request more information on a property from their agent, even perform map searches or find an agent if they don’t have one. REWS can accommodate virtually any reporting format or preference. Choose from a comprehensive library filled with popular reports or select from an array of data-rich options to customize your own. Market Watch Reports can be personalized to communicate more effectively with prospective and existing consumers on market changes. Our system features custom IDX capabilities: it connects with a direct IDX feed from the applicable local board. This enables all searches and leads to be registered directly on your website with full and consistent listing details, photos, mapping, etc. In addition to the enhanced user experience, real-time reporting delineates site visitor activity, providing agents with valuable insight into buyer interest. Our predictive sales technology helps identify and direct focus to consumers that may require attention or are more likely to engage and transact, while others incubate. This helps agents and customer service representatives be more productive and efficient. Simplify online lead generation chaos by consolidating leads from different sources into one convenient system. 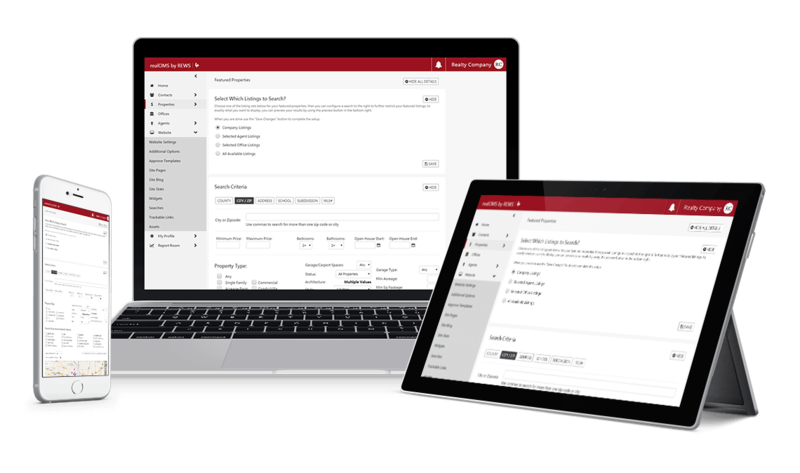 From popular national lead distribution systems to individual email responses, REWS can deliver all your company’s leads into a centralized dashboard. Consumers have access to all pertinent information via their dedicated portal. Sellers view real-time activity on their listing. Buyers utilize an online workspace to manage saved favorites, recent searches, and more to help them find the perfect home. No startup costs, no future hidden costs, no contracts, no excuses - no kidding! A competitive monthly, per agent service fee grants full access to everything REWS has to offer. Setting up our smart Customer Relationship Management System requires NO INITIAL CAPITAL INVESTMENT. The monthly service fee covers full access to the software solution. The REWS approach is structured to generate income for brokers by converting leads directly from their own website along with associated referral fees. Updates and accompanying training materials are released automatically at NO ADDITIONAL COST. Plus! Customer service, training, and coaching for brokers and their administrative staff members are always INCLUDED. We're the technology partner you've been looking for, the one with just the right blend of residential real estate experience, technology skills, and personal service. Communication takes many forms to accommodate personal preference. Because it’s more efficient to have a central location for all that communication, REWS includes a dashboard for personal preferences, email, social media, blogging, and notes. Take advantage of all the tools, or focus on those you prefer, to keep in touch, respond appropriately, and ultimately close more sides. 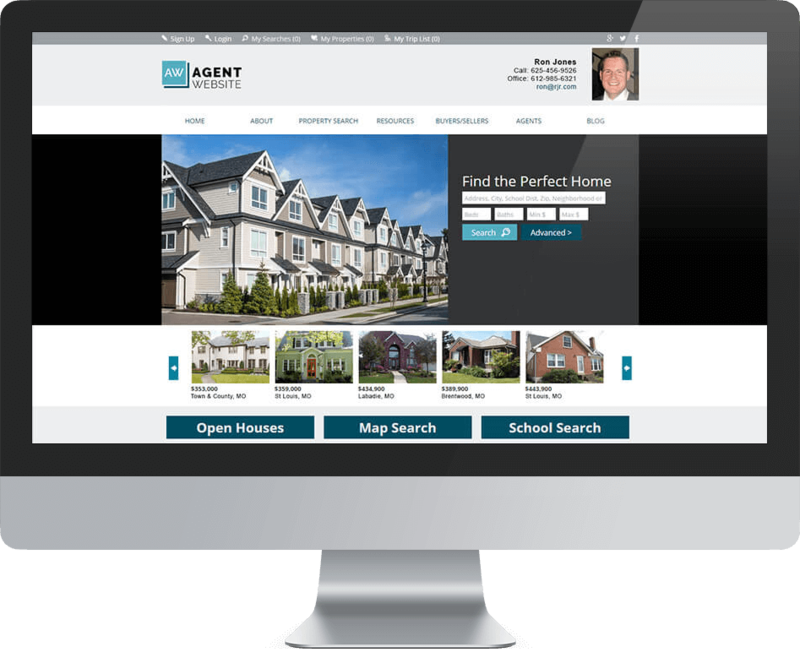 Most consumers aren’t looking for the perfect website or agent; they’re searching for the perfect home. So it’s logical that property search is by far the most desired and utilized feature. REWS does all the heavy data lifting in the background, working with data sources 24/7 to keep listing information fresh. Agents have the option to choose from among all data elements to create highly specific searches to customer specifications, beyond what consumers can do on their own. Not everyone is fluent in acronyms and tech talk – we write clearly, listen carefully, and try to use terms everyone understands. No contracts, unlimited training, fixed monthly rate, no initial capital investment, and no à la carte pricing – everything’s included! From processing thousands of image files to making sure customer websites are online and available, REWS employs a thoughtful blend of proprietary technology and world-class service providers with the goal of exceeding customer expectations. Whether you’re starting from scratch or migrating from an existing system, REWS works collaboratively to ensure that setup appears effortless. The entire process, from paperwork to production, is normally completed in less than 30 days. REWS makes it look easy! Applicable data sources are contacted to complete steps necessary for REWS to gain access. Data is downloaded at the maximum permitted rate with ongoing checks for accuracy while accommodating all unique elements. Company, office, and agent data are migrated into the system. Content acquisition tasks are completed while train-the-trainer sessions guide personnel in getting up to speed on configuration options, design preferences, calls to action, and any customization issues. Once the system is in production, the REWS team remains engaged to ease the learning curve while behind the scenes maintenance and operations are underway. The internet is 24/7 and so is REWS – from data updates to product enhancements, we remain focused on your online systems. Enjoy peace of mind knowing we’re taking care of systems so you can focus on running your business. REWS is a privately-held boutique technology company that enjoys the privilege of assisting select brokers by providing competitive products and relevant services that play a vital business role, from contact-to-contract. Real Estate Web Solutions, LLC: REWS was founded in 2008 by Jimmy Brockman and George Toumbalakis who met in college and went on to individually own and operate their own information technology consulting firms. After surveying the housing industry landscape, they leveraged their professional expertise and real estate knowledge to architect and build a modern solution for residential brokerages. 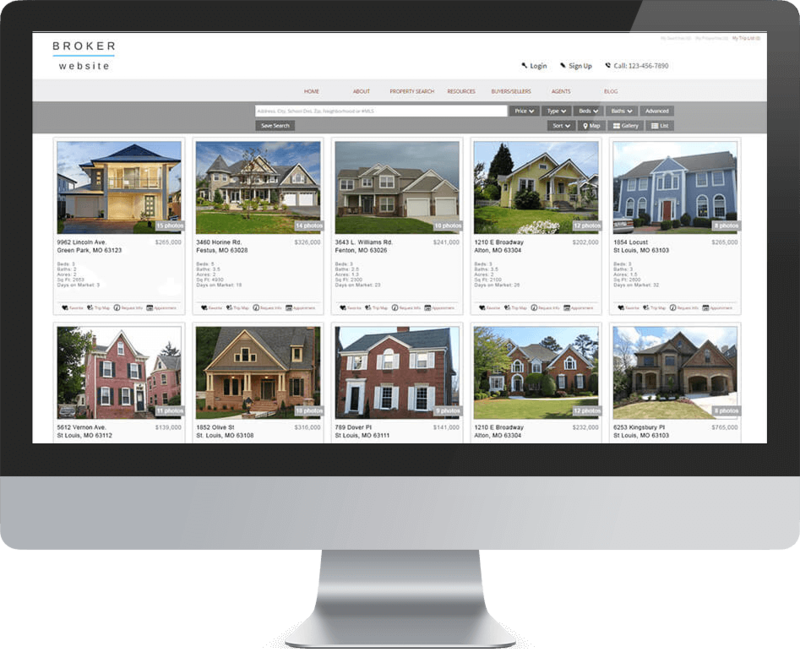 They had the foresight to bundle private cloud-based back office solutions for brokers with public websites that appeal to prospective home buyers and sellers. REWS is known for delivering leading edge rather than bleeding edge solutions that are complemented by passionate personal service, support, and coaching. Our brand: The iconic rooster, or REWSter as we spell it, visually reinforces how a group of our customers once enthusiastically referred to themselves. The name stuck. It reinforces the fact that over the years our system could not have continued to improve without insightful feedback and suggestions from our invaluable REWSters. “The idea of moving from a custom website and back office system we had created on our own for over 15 years seemed like a daunting task. 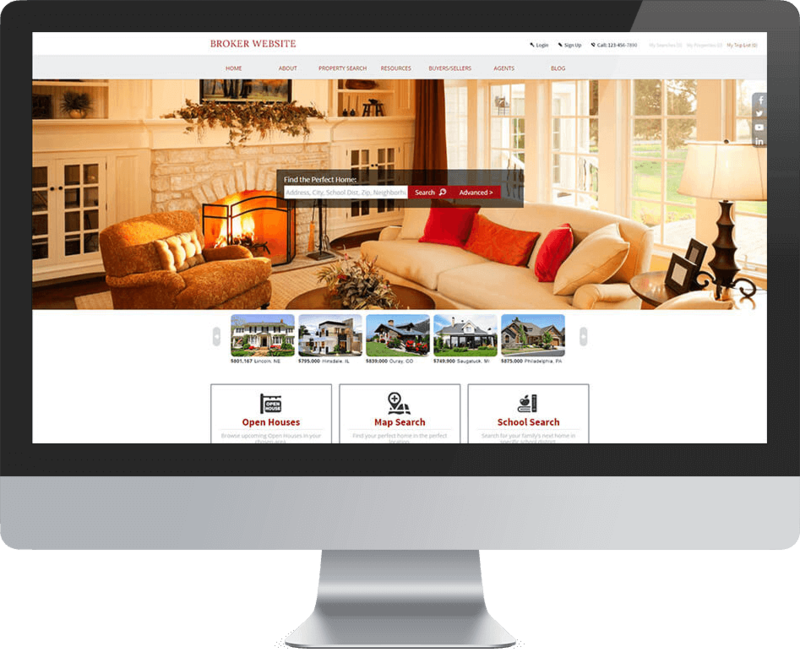 After looking at many, many products we decided that Real Estate Web Solutions had the best product. Once we started working with the REWS team, we knew we made the right decision. Our agents have raved about the product and the ease in which the system lets them keep in touch with their customers has lead to an increase in business. Agents have also told us the tools available in the RealOMS platform help them to work smarter and not harder to get more business. “They don’t promise something they can’t deliver. I have run into this numerous times as I am sure you have. Vendors telling you what you want to hear to make the sale. REWS is NOT like that. They will work with you to get the best solution for your business needs. Contact us to set up a FREE demo or free consultation.